Camping Baia Verde is more than just a luxury camping site. 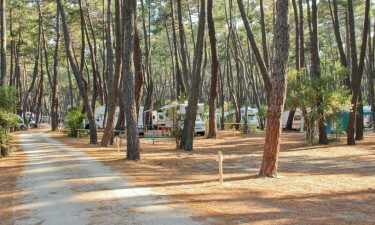 This campsite offers an exceptional location right in the Tuscan coast and is the perfect choice whether you are after a relaxing family holiday or an outdoor adventure. The dramatic landscapes of Southern Tuscany are the ideal backdrop for a luxury camping holiday. 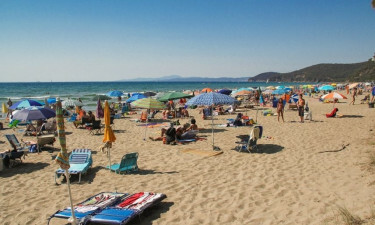 Camping Baia Verde is situated in the Maremma, a little-known stretch of coastline that is one of Tuscany's hidden gems. If you're interested in a sun and beach camping holiday in a glamorous setting with access to outdoor activities, this LuxCamp is the place to go. Sea, sun, and nature are everyday pleasures in Camping Baia Verde. The campsite's beach is known for its calm waters, and during the summer, beach activities are available through the day. Come and top up your tan in Tuscany while you enjoy your favourite drink from the beach bar. 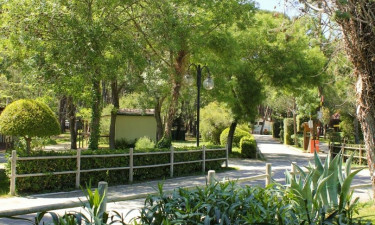 From early morning to late night, Camping Baia Verde offers activities for children, youngsters, and adults. from live music to mime shows, ballroom dancing, aquagym, and more. Other facilities to make your stay perfect include a supermarket, a beach bar, an ice cream shop, and a hairdresser. And after a busy day, you can go back to a luxury mobile home with all comforts.